The elusive Kanye West made a rare appearance after the birth of North West to display his ever-fading fashion sense. 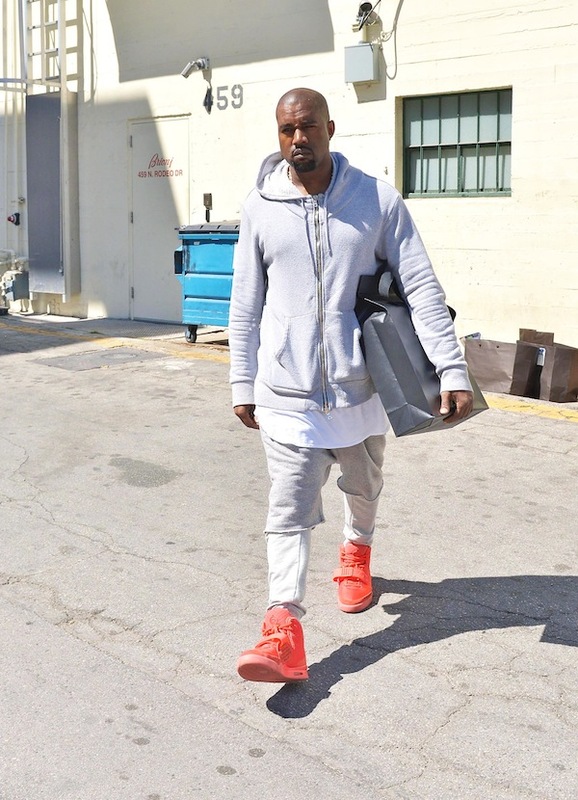 Looking at this “hyper” trendy take on the simple sweat suit we began to realize that Kanye is really just the worst type of fashion victim. This entry was posted on Thursday, July 11th, 2013 at 2:18 am. You can follow any responses to this entry through the RSS 2.0 feed. Both comments and pings are currently closed.